The story of Purim is told in the Biblical book of Esther . The heroes of the story are Esther, a beautiful young Jewish woman living in Persia, and her cousin Mordecai, who raised her as if she were his daughter. The Purim story is told at the Book of Esther . 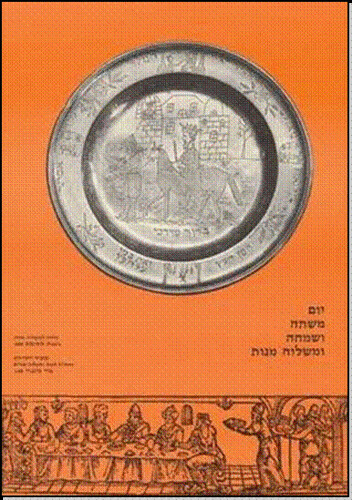 The Book of Esther commences with a six month (180 day) drinking feast given by king Ahashverosh, for the army of Persia and Media, for the civil servants and princes in the 127 provinces of his kingdom, at the conclusion of which a seven day drinking feast for the inhabitants of Shushan, rich and poor with a separate drinking feast for the women organised by the Queen Vashti in the pavilion of the Royal courtyard. At this feast Ahashverosh gets thoroughly drunk and orders his wife Vashti to display her beauty before the people and the princess by dancing naked. She refuses, and Ahashverosh decides to remove her from her post. He then orders all young women to be presented to him, so he can choose a new queen to replace Vashti. One of these is Esther (Haddassah, who changed her name to Esther so that the king wouldn't know she was Jewish), who was orphaned at a young age and was being fostered by her cousin Mordechai . She finds favor in the king's eyes, and is made his new wife. Esther does not reveal that she is Jewish. Esther was taken to the house of Ahashverosh, King of Persia, to become part of his harem, and he loved her more than his other women and made her queen. 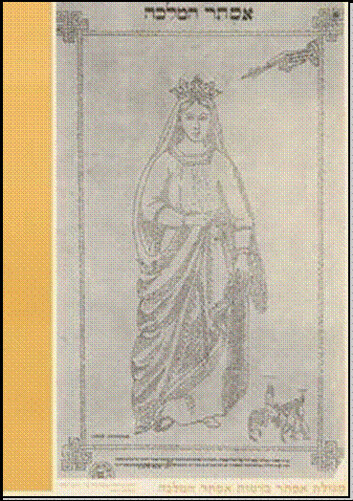 But the king did not know that Esther was a Jew, because Mordechai told her not to reveal her nationality. The villain of the story is Haman, an arrogant, egotistical advisor to the king. Haman hated Mordecai because Mordechai refused to bow down to Haman, so Haman plotted to destroy the Jewish people. In a speech that is all too familiar to Jews, Haman told the king, “There is a certain people scattered abroad and dispersed among the peoples in all the provinces of thy kingdom; and their laws are diverse from those of every people; neither keep they the king's laws; therefore it does not profit the king to suffer them.” Esther 3:8. The king gave the fate of the Jewish people to Haman, to do as he pleased to them. Haman planned to exterminate all of the Jews. Mordechai persuaded Esther to speak to the king on behalf of the Jewish people. This was a dangerous thing for Esther to do, because anyone who came into the king's presence without being summoned could be put to death, and she had not been summoned. Esther fasted for three days to prepare herself, then went into the king. He welcomed her. Later, she told him of Haman's plot against her people. The Jewish people were saved, and Haman was hanged on the gallows that had been prepared for Mordechai. The book of Esther is unusual in that it is the only book of the bible that does not contain the name of G-d. In fact, it includes virtually no reference to G-d. Mordechai makes a vague reference to the fact that the Jews will be saved by someone else, if not by Esther, but that it the closest the book comes to mentioning G-d. Thus, one important message that can be gained from the story is that G-d often works in ways that are not apparent, in ways that appear to be chance, coincidence or ordinary good luck. 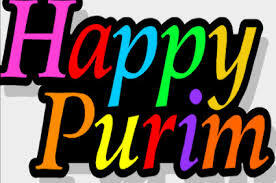 Purim is celebrated on the 14th day of Adar, which is usually in March. The primary commandment related to Purim is to hear the reading of the book of Esther. The book of Esther is commonly known as the Megillah, which means a scroll. We are also commanded to eat, drink and be merry. According to the Talmud, a person is required to drink until he cannot tell the difference between “cursed be Haman” and “blessed be Mordechai ”. Among Ashkenazic Jews, a common treat at this time of year is hamentaschen (lit. Haman's pockets). These triangular fruit-filled cookies are supposed to represent Haman's three-cornered hat. Most evidence suggests that the concept of "masquerading in costumes" (on Purim) is a fairly recent addition to Purim, which was added sometime during the past five hundred years - in Europe. The practice probably did not exist in Middle Eastern countries earlier than 150 years ago. Costumes and masks are worn to disguise the wearers' identities. Mistaken identity plays an important role in The Book of Esther, as Esther hid her cultural origins from the king, Mordecai hid his knowledge of all the world's languages (which allowed Bigthan and Teresh to discuss their plot openly in his presence), and Haman was mistaken for Mordechai when he led Mordecai through the streets of the capital city of Shushan. The custom of masquerading on Purim was first introduced among the Italian Jews about the close of the fifteenth century under the influence of the Roman carnival. This custom spread over all countries where Jews lived, except perhaps the Orient. The first among Jewish authors to mention this custom is Judah ben Eliezer ha-Levi Minz (d. 1508 at Venice) , quoted by Moses Isserles on Orach Chayim 696:8. He expresses the opinion that, since the purpose of the masquerade is only merrymaking, it should not be considered a transgression of the Biblical law regarding dress. Although some authorities issued prohibitions against this custom, the people did not heed them, and the more lenient view prevailed. 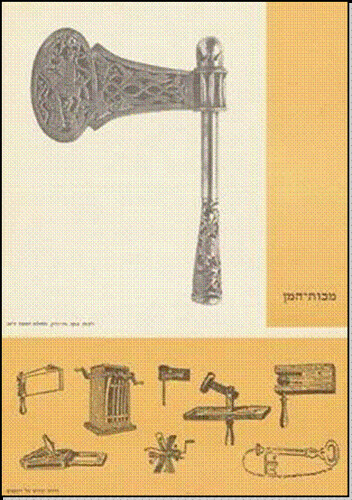 The custom is still practiced today amongst religious Jews of all denominations, and among both religious and non-religious Israelis. 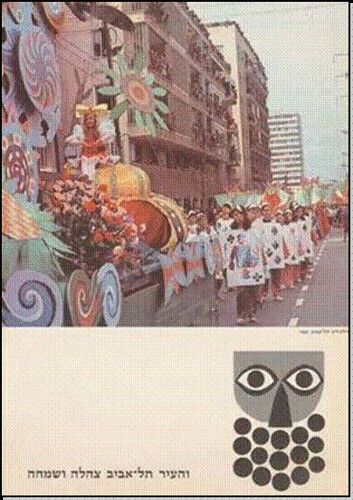 In Israel there are Purim parades called Adloyada (Ad-òã Lo-ìà Yada-éãò, Until one didn't know the other). The name refers to the drinking feast described in the book of Ester, after which the guests couldn't tell their friends apart from the other attenders. In these Parades men, women, boys and girls dress in costumes and masks and celebrate publicly.